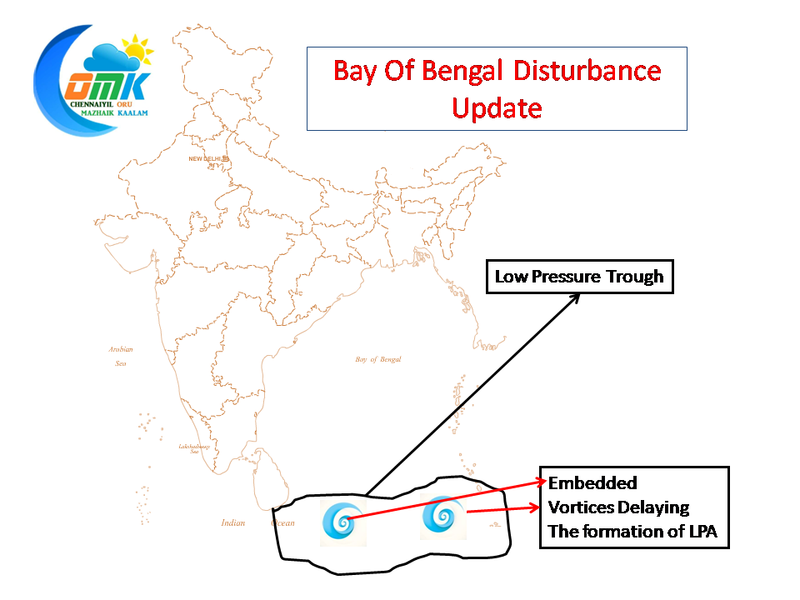 While weather enthusiasts are eagerly looking at Bay of Bengal for the next disturbance to form, the bay is moving things at its own pace with a lot of factors inter playing. 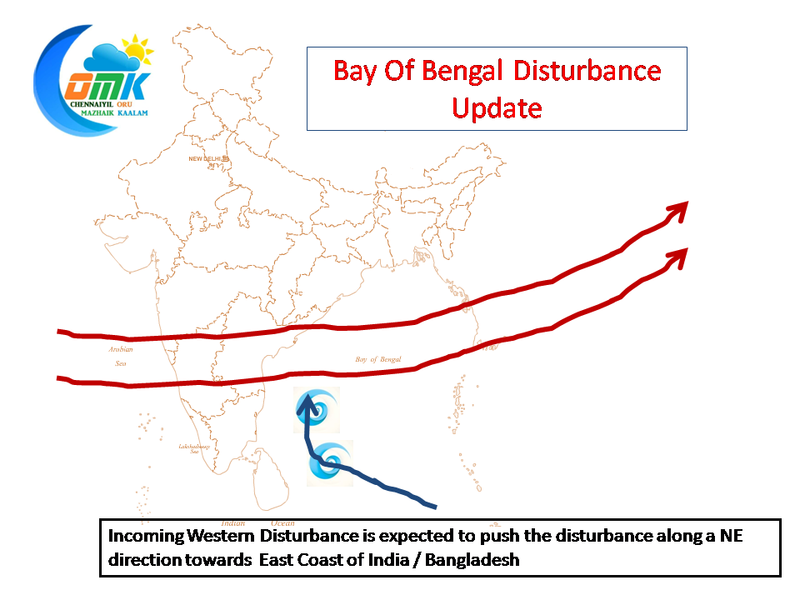 As confirmed by IMD there is a Low Pressure trough SE of Sri Lanka along the equatorial waters and another trough west of Andaman. These two have there own embedded vortices in them. 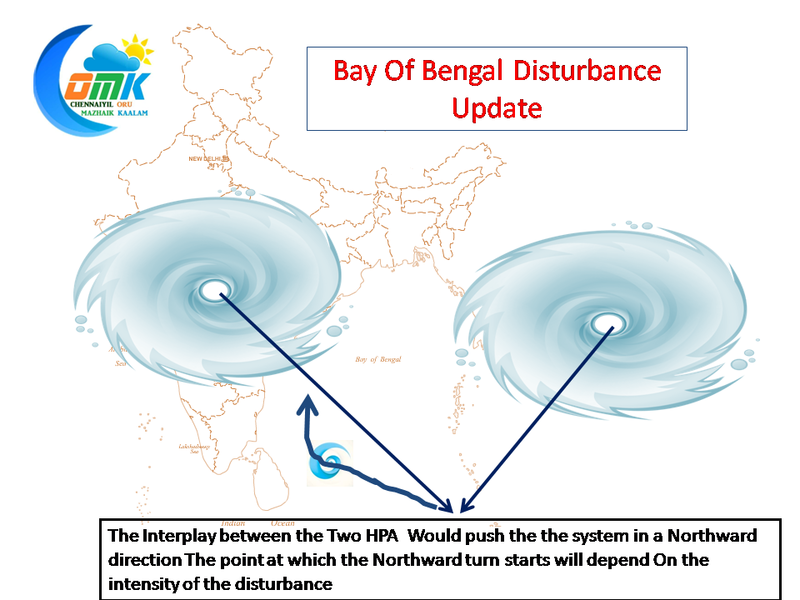 Its these two vortices that are trying to establish dominance and take up the mantle of the next disturbance in Bay of Bengal that’s creating an equation that is changing by the hour and keeping everybody on tenterhooks. Thanks to the supremacy battle between these two vortices the likely hood of LPA establishing around Christmas time is getting delayed and could possibly take another 24 – 48 hours. In all likely hood the LPA will establish around South Central Bay, equidistant between Sri Lanka and Sumatra. So what does this delay mean to the rain prospects of Chennai & North Tamil Nadu. It is still not yet the time to hit the panic button but things could take a turn for the worse as has been the case all season this year. The steering pattern in the bay is favourable to Tamil Nadu until 28th December thereby providing an opportunity for the disturbance to work its way towards Tamil Nadu coast provide us some rains and then get thrown away by the incoming Western Disturbance toward East Coast of India. 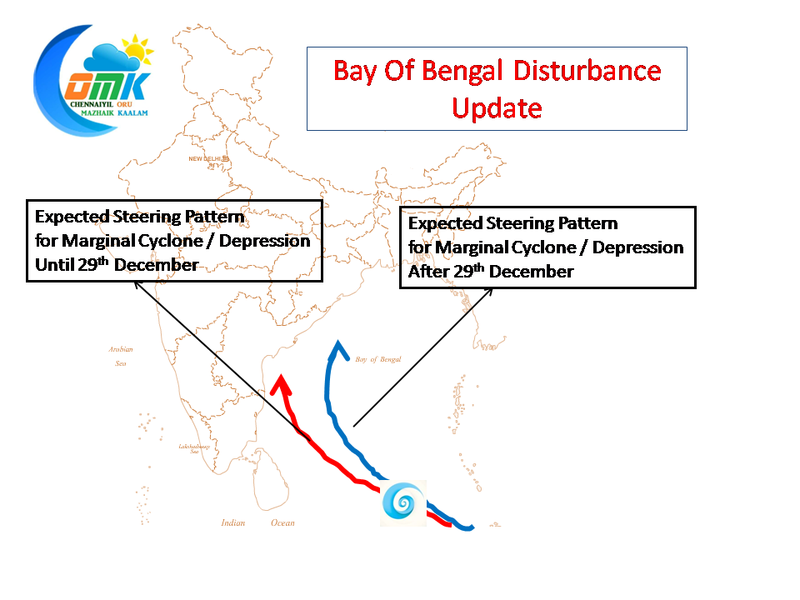 Post November 29th December the steering pattern changes with the possibility of the disturbance taking a North turn even before coming close to the Peninsular Coast of India depriving the rainfall prospects for North Tamil Nadu & Chennai. We will update you as the events unfold and hopefully take a good turn for Chennai as the season winds up for a close.